Close Encounters S01E06 Blind Date and Flying House 720p HDTV x264-DHD | Free eBooks Download - EBOOKEE! Posted on 2014-03-13, by tactools. Close Encounters: Weird weather patterns, flight schedules, and extraordinary imagination ultimately, of the thousands of UFO sightings that are reported each year around the globe, most can be explained and attributed to normal, Earthly phenomena. But those cases that can t be solved even decades later puzzle police investigators, government officials, researchers, and even medical communities. 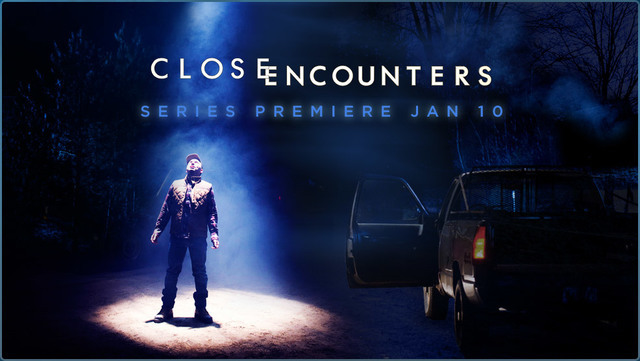 Premiering on Discovery, CLOSE ENCOUNTERS explores the most intriguing and convincing UFO stories on the planet. An original Canadian production from Toronto s Newroad Media, the 13-part series examines two stories in each episode, combining dramatic recreations, CGI, and dynamic expert interviews, to illuminate the most mystifying sightings from around the world from Alberta to Australia, and from Texas to Tehran! No comments for "Close Encounters S01E06 Blind Date and Flying House 720p HDTV x264-DHD".